Home of Strathfield Cricket Club Airey Park was dedicated on 9 April 1958 and named in honour of Joseph Airey, an Alderman of Strathfield Council [1917-24] who helped obtain this land for park purposes. Airey was Vice-Chairman of Strathfield Council’s finance committee and was instrumental in inducing Marcus Clarke, the owner of City retail store Marcus Clarke, to donate land to Strathfield Council. Airey was a manager of Marcus Clarke. Clarke died in 1913. The Strathfield Council meeting minute of 9 September 1919 notes the bequest from the Estate of Marcus Clarke of 7½ acres dedicated for the purpose of a Recreation Ground. This area eventually became Airey Park. Airey Park Oval was constructed by Homebush Boys’ High School and their Old Boys’ Union with Strathfield Council’s co-operation as a Memorial to former pupils of the School who served in World War II. In 2003, the Oval was named cricketer and local resident Alan Davidson. 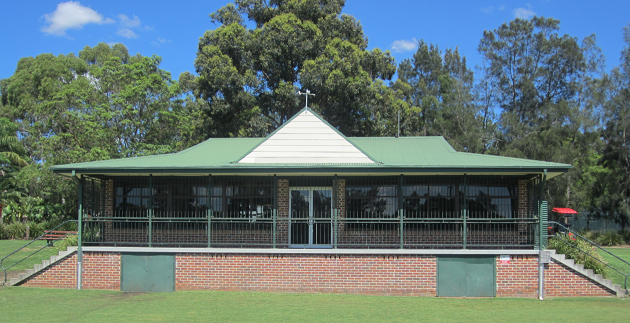 The Strathfield Cricket Club at Airey Park recently replaced the former Arthur Cave Pavilion with a new clubhouse. The old pavilion was named for Arthur Cave, former Mayor of Strathfield. Strathfield Square, opposite Strathfield Railway Station, once had an oval grass island with a large palm, prior to the construction of the current plaza area. This palm was originally located in the garden of the Randolph Nott’s home ‘Silwood’, located on the corner of The Boulevarde and Albert Rd, which was demolished in 1926 in order to allow expansion of the railway station. The surplus land was purchased by Strathfield Council for £3000 in 1926 and became Strathfield Square. Following the construction of the current Strathfield Square, the ‘Silwood’ Palm was relocated to a new home in Airey Park.